Have you ever had a rough day on the road? I’m sure we all had one and along the way, we picked up some grime, dirt, and bugs on our car and windshield. Nobody likes the sight of a dirty car, even much so if you can easily change this state. A car owner’s attitude to his vehicle can be easily determined by the look at his four-wheel helper. The cleaning of a car is nothing you should be afraid of; on the contrary, if you get the best car wash soap possible it will be a walk in the park. Don’t get me wrong, you still have to put in the effort, but it will certainly be easier with a top-notch car care product. That is exactly what this entire review is all about, 9 best car wash soaps. I know that the market nowadays is full of opportunities and options and that’s why I have narrowed it down to this specific number. On the following page, you will find a brief outline of information about car wash products which will hopefully help you decide. 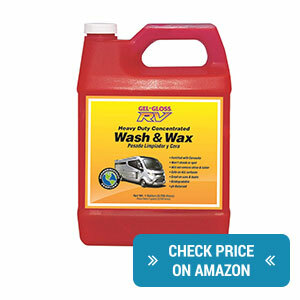 However, keep in mind that these car wash shampoos should be used to clean your car from various road debris and dirt and not serve as the primary protection, if you are interested in this area as well, be sure to check out my older article on car waxes. Car cleaning soaps are, however, necessary to maintain the condition of your car in a representative way. So sit back and enjoy the list of nine best car wash soaps that are currently available on the market and choose the one that fits your needs perfectly. 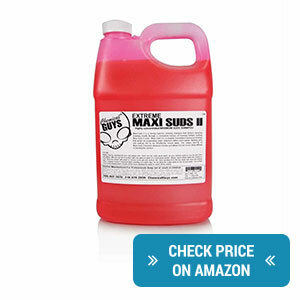 The Maxi Suds II from Chemical Guys is among the best car care products currently available on the market. The main secret lies in the formula which uses bubbles. However, these are no ordinary bubbles, since upon application of the product the foaming formula doesn’t cease to produce new ones. The debris, dirt or filth you might have picked up on your adventures can easily be cleaned with this car wash soap. Each bubble has suspending super polymers in its integrity and that’s what does the magic trick. 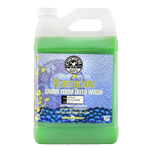 You certainly don’t have to worry about the lack of suds in your bucket or foam cannon, this product was specifically designed so it can provide a reliable solution with only 1 ounce of soap in a volume of 4-5 gallons of water. This functionality is also complemented by the cherry scent which will go well with your freshly cleaned and shiny vehicle. The mixture takes some doing due to the concentrated nature of the product, but the suds are worth it. It leaves a smooth and nice surface after usage. Removes pollutants and leaves a nice smell. The suds may not last long so you really need to get going. The Aero Cosmetics is one of the best car wash soaps that don’t need water. With no water at all, the spray-on can clean and protect your car, providing it with a non-stick UV coating that is applicable to all vehicle types. The application is fairly simple: easily spray on the contents of the bottle on the surface and use a wipe to clean it. Thanks to the wide range of surfaces and means of transportation this product can be used on, it’s widely used by the air force, military and corporate or private aircraft. As far as the composition is concerned, in its core, it’s a liquid, but alcohol and ammonia free. The ingredients used in the formula are extracted from plants and thus eco-friendly, while at the same time meeting the standards necessary for interior and exterior surface application. 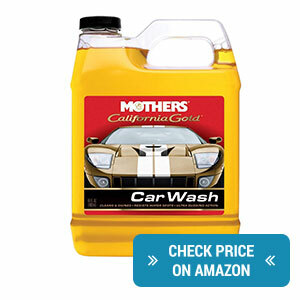 Moreover, no skin or eye irritation has been recorded while using this liquid car wash. Even though one of its main advantages is the waterless usages, this doesn’t mean it can’t be used on a wet surface. However, it’s important to understand that this is a wash and wax product which protects and improves the shine you already have. This means that if your surface isn’t in top shape, you should probably fix it. If you don’t have a lot of dirt on your car you can even use this car wash with no water. Can be used on several surfaces and means of transport. Some degree of rain repellent is applied as well, together with a shine boost. When dealing with bugs you still need use some additional equipment, but that’s understandable if you don’t have any prevention on your paint. 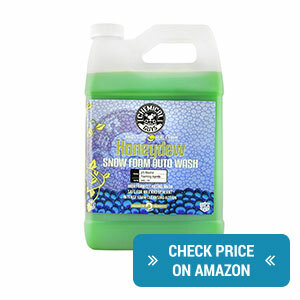 The Honeydew Snow Foam Auto Wash Cleanser is another car cleaning product which uses bubbles to reach its goal of fresh cleanliness. Nonetheless, in this case, it’s the PPM (parts per million) formula which provides millions of closely grouped bubbles in the form of a foam and helps you get rid of contaminants and dirt from the surface of your car. The pH neutral mixture makes sure that you will be able to rinse away all accumulated grime or dust and avoid scratches that are so often produced by contact cleaning. 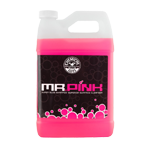 This perfected product can be used on a variety of surface from paint, rubber, and vinyl, all the way to glass and plastic, which means that you can take care of your car as a whole. Be sure to prepare the dilution according to your needs, but generally apply the one cap to five gallons of water ratio to achieve the optimal outcome for your foam gun, foam lance or foam washer. Moreover, thanks to its attributes it’s not restricted to cars, feel free to use it for your boats, jet-skis or even RVs. The finishing touch is provided by the honeydew smell which completes the overall picture. Terrific smell, plus it doesn’t leave any spots or residue. The more regularly you use it, the less time you will spend cleaning the road waste. Very foamy and creates a lot of suds if prepared in the correct ratio. Be sure to create a space where the product can easily flow down, otherwise, it’s possible that your lawn could get damaged. 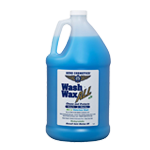 This particular car wash soap is designed for the maintenance of recreational vehicles. This is the exact reason why it cleans and waxes at the same time, to save you time that you can spend elsewhere. The wax part of the Gel-Gloss includes the carnauba wax which grants your paint a higher level of protection. In addition to this component, it doesn’t remove any previous coating you might have applied. 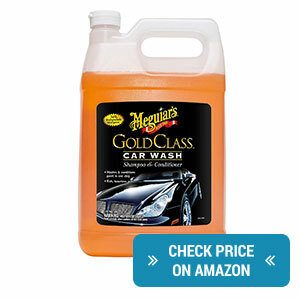 Overall this product operates on three levels; it cleans, protects and grants shininess to your vehicle. When using it, you won’t find any streaking or water spots. From an economic point of view, one-quarter of the bottle is able to create up to 16 gallons of cleaning solution. The shine this product grants is really something. 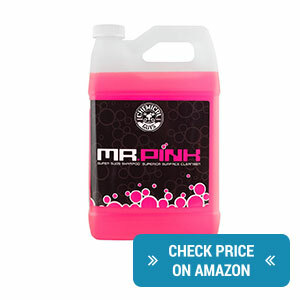 Helps you wash away dirt and bugs from your windshield, as well as mild oxidation. 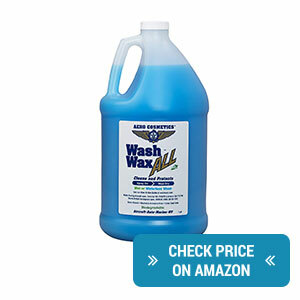 A good concentrated cleaner that creates a sufficient amount of suds. Heavier cases of oxidation have to be treated with a more powerful and specified product. This car wash represents an ideal option for a week to week maintenance of your vehicle. You can choose either the bucket version of washing or a foam gun/foam cannon; this product can be used for both. All the dirt and grime that you have collected can easily be removed thanks to the premium super polymers within the foam. The pH value, which is by the way neutral, is a guarantee of a delicate wash that doesn’t damage your paint and can be even used on direct sunlight. The oily attribute is welcomed mainly because it hinders scratch occurrence and preserves your wax. Once rinsed, the product doesn’t leave any residue on your wheels or paintwork. It is recommended to use a pressure washer device with this product. A perfect car care helper for home use. The pH is balanced so it doesn’t affect any treatment you have previously applied to your vehicle. The ratio for the solution might need some correcting, but with practice, you will find the right amounts. 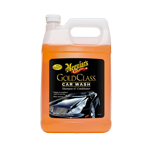 Meguiar’s Gold Class product that will help you treat your car with respect. The ability to clean and condition your car at the same time represents a big plus since it saves you time and money. Yes, that’s right it’s a car shampoo as well as a conditioner. Thanks to the new advanced formula you don’t have to worry about losing your wax protection. 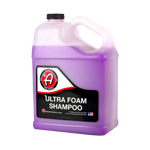 The shampoo is excellent against tough dirt, road grime, and other possible contaminants. In addition, while using it you simultaneously apply the conditioner which makes your car look even more radiant than before. It can be used in a bucker or foam cannon, however, if you choose the latter be sure to dilute the agent in a 5:1 ratio. After the wash off your car will smell nice. Good clean up and easy rinsing. Very concentrated soap that doesn’t need to be used in big quantities. The thick layer of bubbles may at first cover some dirt or grime, so you should be very detail oriented. 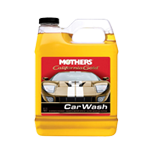 This next car cleaning product ensures that you clean your paint with the strong components it’s made of and is also protected by them. The overall pH is carefully calibrated so regular use of this car soap doesn’t damage your vehicle. Once diluted, it produces an incredible amount of bubbles and the formula creates suds that enable easier washing process and remove all road waste, dirt, pollutants, bug and bird marks. Moreover, the mixture has been perfected to leave a water spotless paint and the shining aspect is also boosted while preserving the already existing wax. The usage of this and other car care products connected with waxing, cleaning or polishing is highly recommended as it prolongs the life of your four-wheel companion. The shine has a long-lasting tendency. Lubrication is sufficient as well as the foam volume which boosts the cleaning qualities. Nice smell and it does the job with grime and bugs stains. You should rinse right away, if not spots may appear. 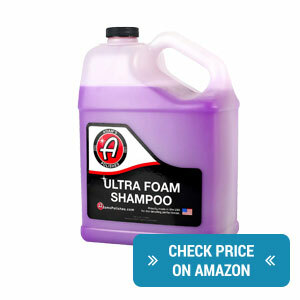 One of the last liquid car wash products I am going to introduce to you is the Adam’s Ultra Foam Shampoo. 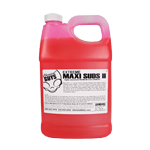 As the title suggests this car cleaner produces a mass of thick lubrication foam that can be used in a foam cannon or a foam gun. The number of suds should be enough to clean your paint and in addition, they prevent scratches. The polymers which make up the structure of the formula can help you with the removal of soot, pollen, dirt and other pollutants on your vehicle and its plastic parts as well. The pH, as in the case of the majority of these products, is balanced which consequently means that it can’t harm your wax or sealant. On the contrary, after the final rinse, and once the grime and road filth are gone, the car shampoo leaves a little layer of polymers that protects and improves shine and preserves coating. It can even be used on direct sunlight thanks to its above-described attributes. Practical bottle that is easy to use with your foam cannon as well as easily transportable. The value of pH is calibrated which protects other coatings. The lubricant attributes are well-designed and prevent any damages introduced while washing, plus the smell of grapes is pleasant. The washing process ought to be carried out rather quickly because of the foam’s tendency to run off. 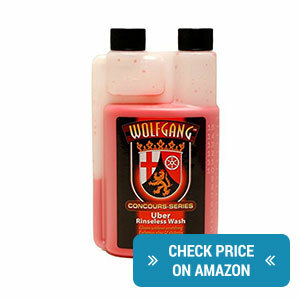 The last entry on my list of car wash soaps is the Wolfgang product bearing the name WG-3700 Uber Rinse less Wash. It’s a highly concentrated liquid car wash that is able to create 3 gallons of solution that doesn’t need to be rinsed. The ratio for such solution is 1 ounce of Wolfgang uber rinse and 3 gallons of water. The ratios can, of course, differ, depending on the container you are using. Three gallons should be, however, a sufficient amount to wash your car clean. The main advantage here lies in the fact that you don’t need to rinse your car after applying this car cleaning product, therefore, you get rid of excess water that can get in between car parts or tires, plus in many cases, you often wash down the product you have just applied. Any excess material that might need cleaning isn’t rinsed off in this case, but rather wiped by a towel, which is also environmentally friendly. With this car care product, you can treat your vehicle even during winter, since it doesn’t need any hose to be operational and thus can be used even in the interior of your garage. 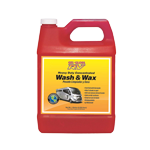 This car wash product provides hydrophobic protection to the surface of your vehicle. It can be used as a water-less wash option. 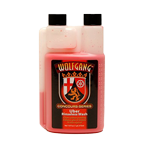 Works fine on other products, which means it doesn’t disturb any layer you have previously applied on your paint. The dilution ratios should be once again tested and taken into account, since for example for darker colors it might be better to use a more diluted mix. As all the information above indicates, there is a lot to take in when choosing the best car wash soap. It’s indeed no easy task and all aspects should be taken into account. However, you should also be aware of the fact that car wash shampoos and car cleaning products don’t substitute other goods such as waxes or polishes. Every step of vehicle treatment has its particular and specific tool that ought to be used. With this in mind, let’s look at the summary of details that you should consider while looking for the car soap that fits your needs. First of all you need to determine whether you need a small or a bigger packaging. Think about all factors, but rest assured that if you want to reach the full capabilities of a car shampoo you need to use it regularly. On the other hand, all of the products on my list feature a nice dilution ratio, so you don’t have to worry about spending the entire bottle for one cleaning session. The next important attributes are lubrication and foam. These two, together with the chemical components, decide how effective the product actually is. Once again, this shouldn’t be an issue overall, but there are some entries that produce a higher volume of foam which can be used to your advantage in certain situations. Moreover, there are a couple of examples which can be used without water and thus offer you a water-free option. This can be very handy especially in a situation where you don’t have much time or are in a hurry for whatever reason. Be sure to look once more to the descriptions to see which of the car wash soaps have this feature just to be sure. All of these mixtures have a neutral or balanced pH which means that no harm will be added to your paint during the cleaning process and waxes and coatings will be preserved. In case you own several means of transport such as motorbikes, cars, boats etc. look for the ones which are destined for a variety of surfaces and can clean all of your vehicles. This ways you won’t have to buy a specific product for each individual machine. So there you have it a little summary to give you an idea and aim your attention to certain specifics. Feel free to revisit the review and re-think all the possibilities which are available.